This is a fairly open category that contains articles about people, photography, and associated topics in which I have an interest and that have influenced my thinking and practice. They will usually relate to my understanding and appreciation of the medium, its history, and the way it is used. It is a kind of ‘blog’ except that these articles are often not connected to any timeline. Oh, there is a Blog too, which contains some current musings. But first, it seems that every site must have some autobiographical statement to put the author in context, so here’s mine. Christopher Alexander, architect, is also the founding father of the Pattern Language movement in computer science, and author of A Pattern Language, the seminal work that was perhaps the first complete book ever written in hypertext fashion. The page on my old website that referenced his ‘Elements of Style’ got a surprising number of hits, so I’ve decided to include it here. In 1984, on one of his return visits to the UK, Bill Jay was interviewed by Rob Powell for The British Journal of Photography. The entire interview is reproduced here and may be downloaded as a PDF scan . In an article by Robert Elwall, included in this site, he makes reference to a copy of The Saturday Book, Number 3, published in 1943. His reference relates to the fact that this edition contained an article about the photographer Frederick Evans, still alive at the time of writing, that was illustrated by reproductions of his photographs printed by the photogravure process, something that was rarely done due to its cost and certainly a one-off for The Saturday Book. The article is reproduced in full here. 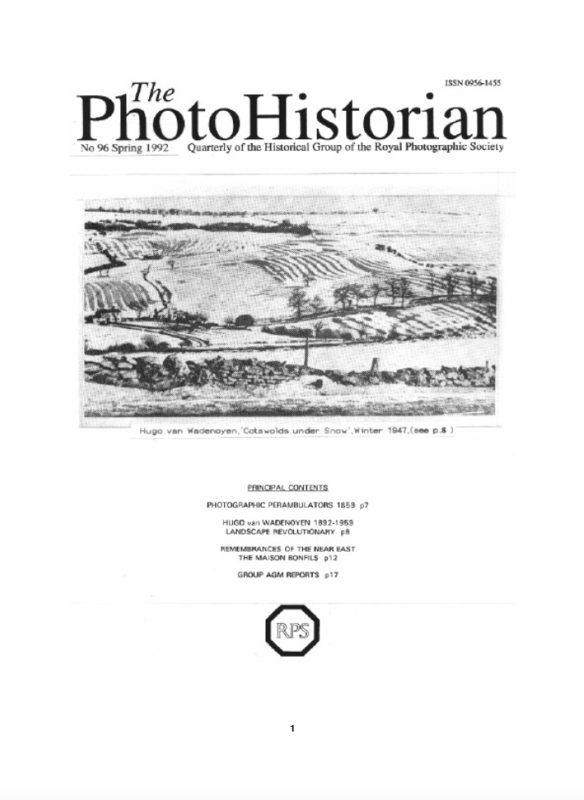 The cover of The Photohistorian from which this article is reproduced. 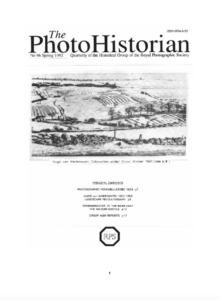 The following article, kindly provided by the Royal Photographic Society Historical Group, featured in The PhotoHistorian journal No. 96, Spring 1992. 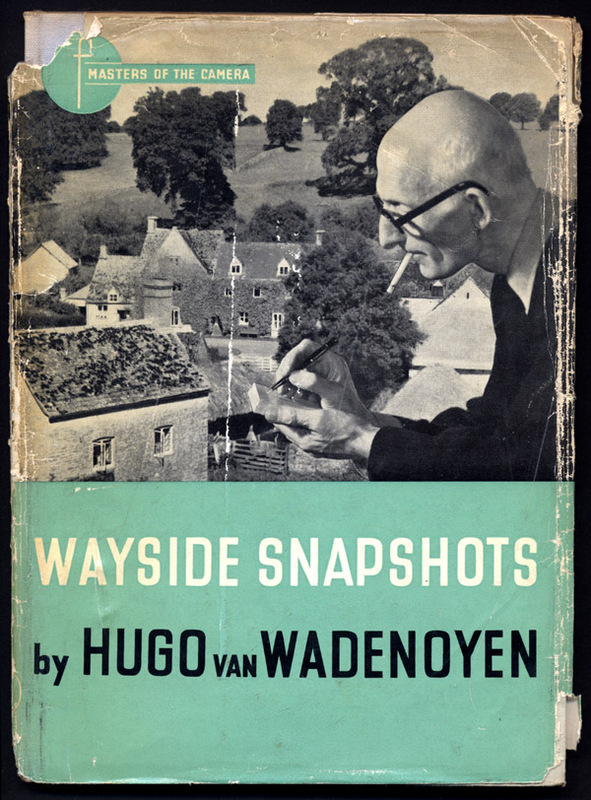 Written by Colin Osman, it gives a full and detailed account of all that Osman had discovered about Hugo van Wadenoyen and provides the most information I have discovered about him to date. 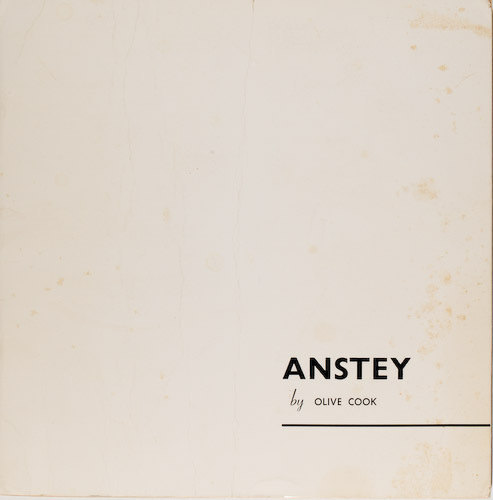 modfot one::The frontispiece of the slim catalogue produced by Bill Jay to accompany the 1967 exhibition of the same name. 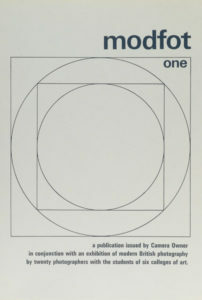 Modfot One was an exhibition of contemporary photography, produced in 1967 and exhibited at the Royal Watercolour Society’s galleries in Conduit Street, London, during May of that year. It continued to tour around Britain and the world for three and a half years as a British Council touring show. It is tempting to consider it in a similar vein to Edward Steichen’s ‘Family of Man’ exhibition of 1955 in the U.S. Although its intentions were somewhat different, it may have had a similar effect on the public’s perception of the scope and possibilities of still photography. 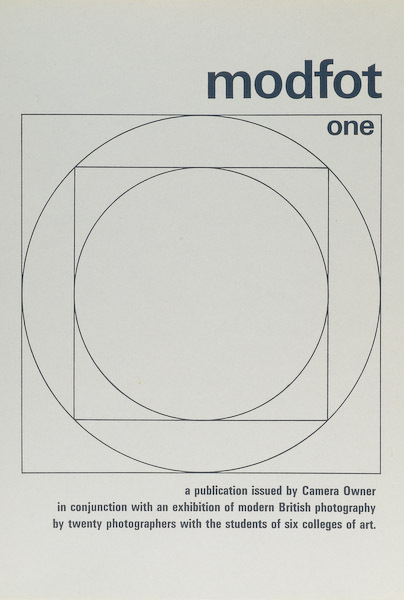 This article is reproduced from the May 1967 issue of Camera Owner magazine Issue number 35 (the precursor of Creative Camera magazine) and was written by Carl Wildeblood. It relates to the articles on this site about the modfot one exhibition published here and here.